Tim Smith, Fixed Operations Expert, President of Smith Consulting and Multi-Award Winner, will share ground-breaking methods on hiring highly sought-after talent in the Automotive Industry. Find out where to look, what to say, and how to draw on a range of recruitment techniques that actually work. 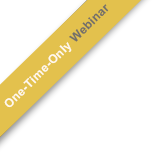 Join us for an invitation-only, limited-attendance web event. Using tried-and-tested techniques, develop a process to consistently recruit and retain the right candidates. Find out what really attracts technicians, and explore the processes that will help you retain them. Speaker, Coach, Trainer, Fixed Operations Expert, President of Smith Consulting and Multi-award winner such as Cadillac and Pontiac Masters. With decades of expertise in speaking for the biggest organizations in the industry, and consulting for Mega Dealers all over the US, Mr. Smith has developed an innovative approach to business growth, combining industry-insider-knowledge and proven leadership methods. Learn reliable, standard and non-standard techniques for finding techs - and rest assured that you'll keep them too!